Makers and electronics enthusiasts but would like to have a little more control and clamp any development boards they may be soldiering into position may be interested in a new gadget which is now available from Adafruit in the form of the Stickvise PCB Vise and Stickvise High Temperature PTFE Jaws. Are you still looking for that perfect PCB holder? 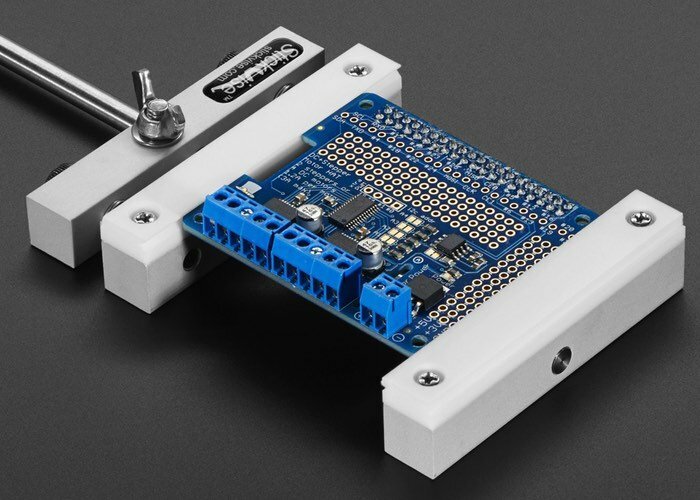 The low profile PCB Stickvise might be just the thing you need! Set the width slightly smaller than the size of your work-piece, compress the spring, slide your PCB into place, and release the springs. Easy, fast, and repeatable. – Hold your PCB flat — give your arms a rest! Stickvise is not up in the air, it holds your circuit board flat so you can solder with stability at table level. – Simple design — No half baked features or gimmicks, Stickvise just holds a circuit board in a simple, intuitive way. – Hackable — have a special application? 3D print custom jaw plates or choose from many more tested mods to make Stickvise work for your application. – Comes with one set of standard nylon jaws.